Christmas came a little early here at nofightin.com, thanks to some cool memorabilia shared by Andrew Rackauskas. I can’t tell you how lucky I felt getting to watch them virtually every Thursday for so long! Once Jack’s moved to the Hollywood/Vine location, the vibe was killed, and the Devils started playing far less. I was also really lucky to see them play as the house band at the “Ciao Def” party where Rick Rubin’s label got rid of the “Def” and made it “American Recordings.” They played in a bowling alley off Olympic in Koreatown in L.A. that is no longer there. It was quite the party! I remember waiters walking around w/ wheel-barrows of beer and booze! 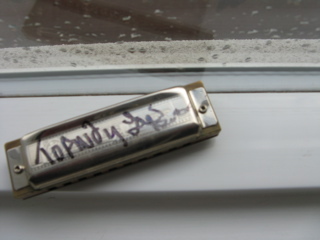 Rackauskas has a harmonica signed by Lester Butler, "but I'm never going to part with that!" 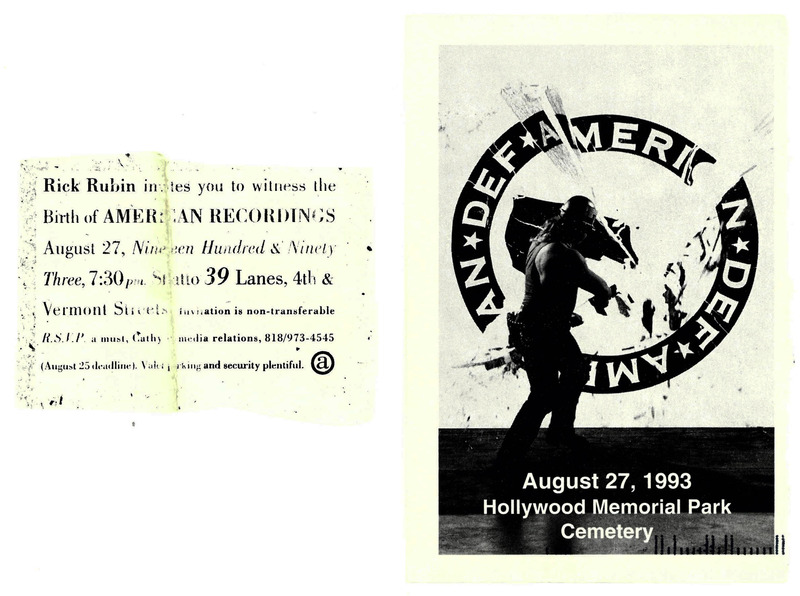 An invite to the "Ciao Def" party, where Rubin held a traditional New Orleans funeral to bury the word "Def," thereby launching American Records. Tom Petty, the Rev. Al Sharpton and others attended the ceremony; The Devils were the house band for the party. 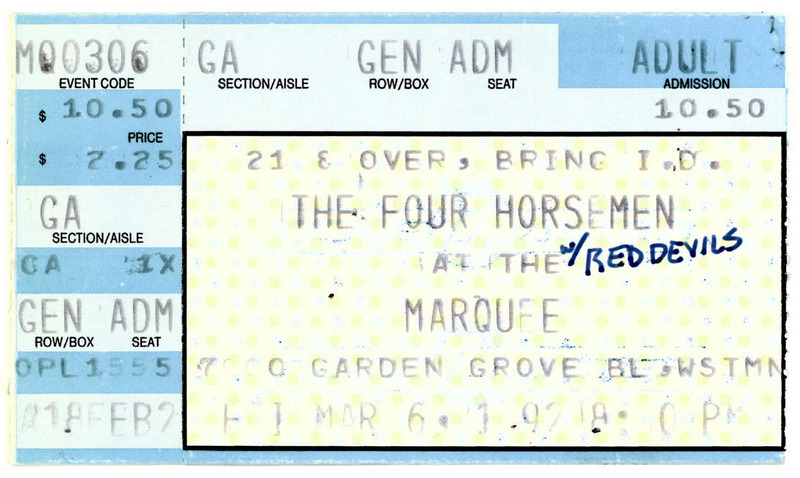 The Devils opened for fellow Rubin signees the Four Horsemen on March 6, 1992. "First show I saw them at the Marquee in Garden Grove (no longer there I believe)." Ticket stub from the L.A. House of Blues, Butler opening for The Blasters on March 24, 1995. The note "w/ The Boss" refers to THE Boss. "Bruce Springsteen was in the audience. Met him briefly and was extremely cool." This entry was posted on December 23, 2009 at 10:33 pm and is filed under red devils with tags american recordings, blasters, bruce springsteen, def american, four horsemen, harmonica, jack's sugar shack, lester butler, rick rubin. You can follow any responses to this entry through the RSS 2.0 feed. You can leave a response, or trackback from your own site.